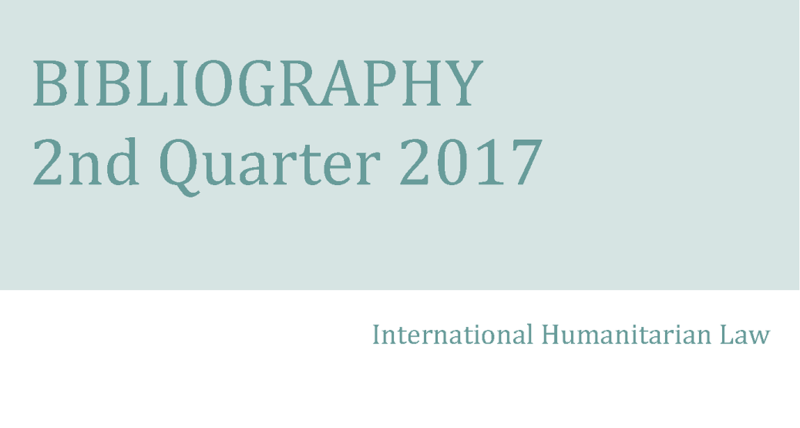 The new quarterly IHL Bibliography is out! As usual, it presents references to English and French publications on IHL based on books and articles available at the ICRC Library. Continuing what has been initiated for the launch of the previous issue of the IHL Bibliography, the ICRC librarians prepared a reading list, drawing attention on documents which have been included in this latest Bibliography. 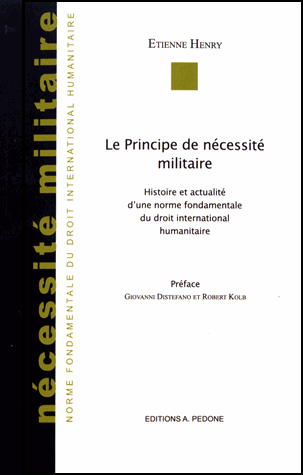 Etienne Henry – Paris : A. Pedone, 2016, 327 p.
Each and every rule of international humanitarian law is based on a delicate compromise between two principles: those of humanity and military necessity. Accordingly, Etienne Henry’s impressive 827-page study on the latter sheds light not only on an essential concept of IHL, but also on every single rule forming this legal corpus. 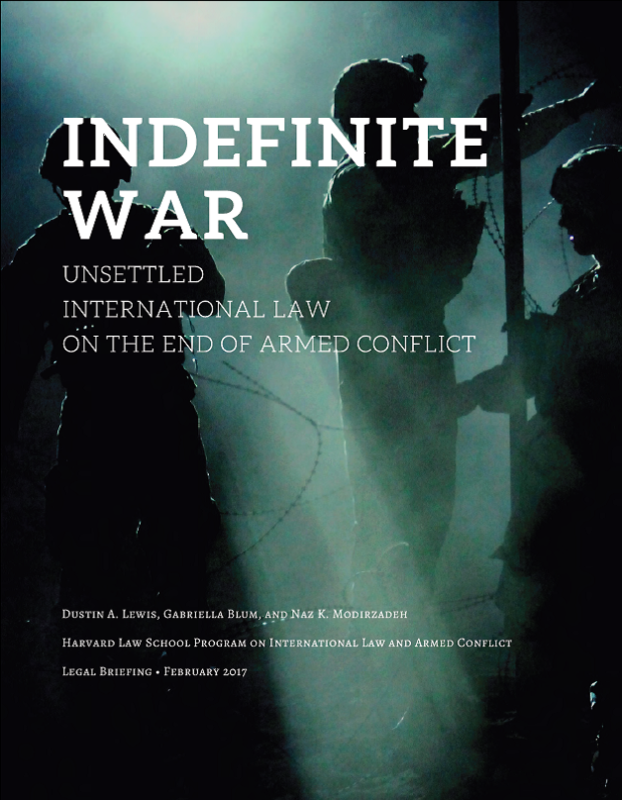 Dustin A. Lewis, Gabriella Blum, and Naz K. Modirzadeh – Harvard Law School Program on International Law and Armed Conflict, February 2017, 105 p.
In an era marked by protracted armed conflicts, the temporal scope of international humanitarian law is of particular importance. Hence, this timely legal briefing produced by the Harvard Law School Program on International Law and Armed Conflict (PILAC). Focusing exclusively on the end of armed conflicts, it highlights the main legal challenges and gaps when it comes to determining whether an armed conflict is terminated or not. 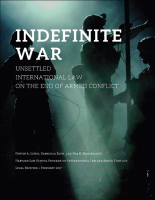 Several theories on the end of armed conflicts are identified, providing a good overview of the applicable international law and scholarly debates on the subject. Heather A. Harrison Dinnis and Jann K. Kleffner – International law studies, Vol. 92, 2016, p. 432-482. Does international humanitarian apply to superheroes such as Iron Man and Captain America? This question may sound crazy but with the development of modern technologies (exoskeleton, prosthetic limbs, etc.) and human enhancement techniques (cognitive enhancement drugs, human performance modifications, etc. ), the legal and ethical challenges posed by “super soldiers” are receiving growing attention in military and academic circles. In their last piece, Heather A. Harrison Dinnis and Jann K. Kleffner examine the applicability of IHL and international human rights law to enhanced human beings. The Geneva Conventions and their Protocols are analyzed, but the Sokovia Accords aren’t!